Garden Design and Landscaping in Devon. Garden design, according to Wikipedia, is the art and process of designing and creating plans for layout and planting of gardens and landscapes. As the garden owner you could undertake this yourself, but if you want a truly special and unique garden design calling in the professionals could be a very good option. Jackson’s Landscape Design are well-known Devon Landscapers with a reputation for creating stunning gardens, with a courteous and professional approach. Jackson’s Landscape Design, based in Newton Abbot, Devon. Jackson’s Landscape Design is an award-winning garden design and landscaping company, based in Newton Abbot, Devon. We serve residential customers in Newton Abbot, throughout Devon and the whole of the South West. 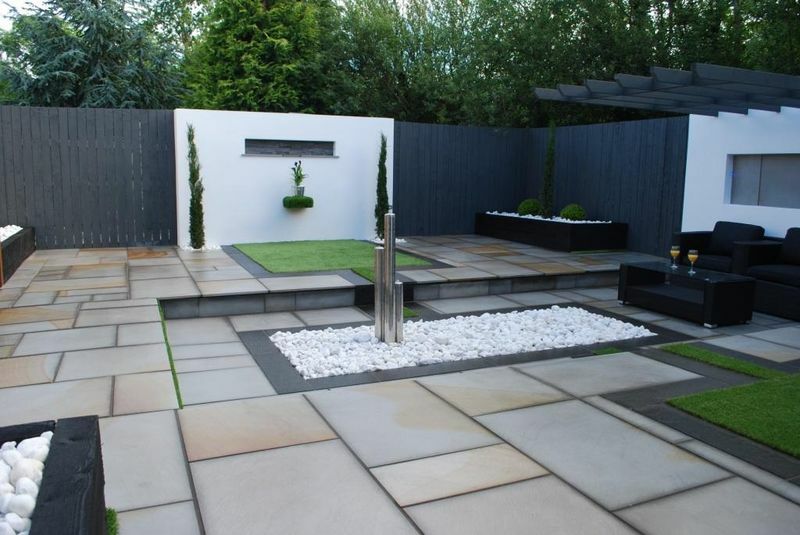 Multi Award Winners for bespoke contemporary 3D garden design & complete landscaping installations. UK national, multi Southwest regional and nationally a highly commended award winner for bespoke garden design and in-house landscaping installation procedures, with additional accolades for our contemporary show gardens, Jackson’s Landscape Design is regarded by the UK’s largest hard landscaping manufacturers, Marshall’s, as a leader in modern garden design and landscaping. Our work is described by Marshall’s Group Marketing Director, Chris Harrop, as ‘an absolute stunner’, and is chosen as Marshall’s marketing images for their national brochures. Our versatile skills can create the most perfect and unique garden design to complement your lifestyle. Traditional or contemporary, large or small, low maintenance or a plant lover’s haven – we can create a garden that’s perfect for you. 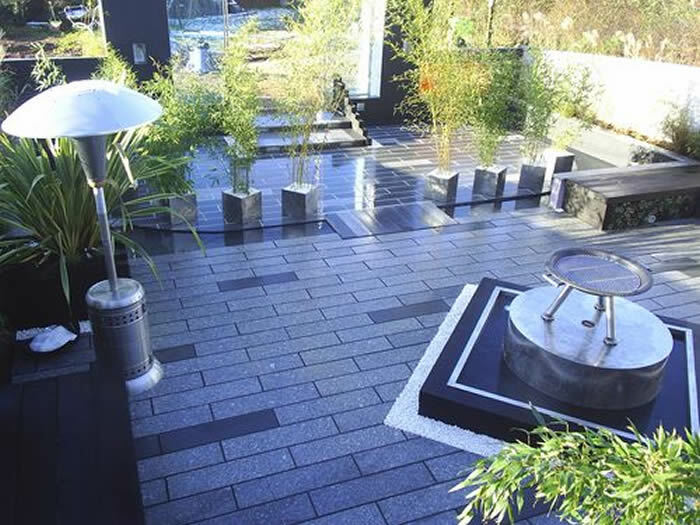 Contemporary garden design and landscaping is such a diverse and complex subject that I could not begin to explain all of it to you in this brief introduction. What I do know is that I have a strong affinity for what I am doing that I do not consider garden design and landscaping a job, I genuinely feel that I have found my vocation. What you have just read might sound a little over dramatic but I cannot think of a better way of explaining my practice and role within the landscape design profession. I started working within gardens and landscaping in 1985 and over this time gained priceless experience and knowledge in all aspects of my profession that I am now able to put into every project I create. There is one missing ingredient though that is needed and that is you, the client. Your aspirations, combined with my creativity, passion, and skills can be mixed together to create an external area that is truly unique to you, your family, your home or work environment. We have extensive knowledge of materials both for aesthetic visual impact but just as importantly, for build strength and integrity – did you know that 30-50% (and sometimes more) of a landscaped gardens’ build cost can be hidden from view; either underground or as a component part that is aiding its strength and support? I’ll advise you on all materials and every aspect of the build up of your new garden as I couldn’t create your garden if you had no idea exactly what is required to hold the whole project together. I believe JLD have earned a reputation for creating extremely stylish modern gardens that are a mixed fusion of contemporary design, innovative materials and bold coordinated architectural planting schemes, through to soft, naturalistic styles. We are specialists at integrating light, plants, colour, water, glass, acrylic, steel, sculpture and furniture to our garden designs and installations. My profession is to translate your aspirations into modern, usable, social environment with cutting edge design, creating a stunning contemporary external room for durable, seasonal use. My sole priority is to create and install the finest external living spaces nationwide, with the fusion of clarity, design, innovative material and bold co-ordinated planting to create a bespoke, unique space of art, crafted for you around you. Client referral, communication, finesse and sympathetic regard to your property are our foundations within this practice. We don’t however limit ourselves to Devon and Cornwall, as we will travel to any location in the UK should our quality gardens and service be required. I really look forward to listening to your proposed garden ideas and discussing how we can assist you, please contact me to book a consultation .